After all the faq, chapter apporved, rules changes etc is it possible right now to include an aux support detachment with the yncarne and remain battleforged? if you do is your whole army considered ynnari and do you loose faction bonuses? Yep you can take him, I would argue he doesn't even need to be your warlord if taken in an auxiliary detachment. Nope, he only makes the detachment he is in gain the Ynnari Keyword so the rest of your army is whatever it started out as. nice thank you good to know...! i got the triumvirate recently cause i find the models cool (also im converting the visarch into my archon but who doesnt?) and since i have them sitting anyway i thought why the heck not to use him in a friendly game just for the lulz..! 1. Yes, you CAN take the Yncarne in an Auxilary Detachment. "If your army is Battle-forged and the Warlord of your army is either Yvraine, the Visarch or the Yncarne then you can include any of these models in any Craftworlds, Harlequins or Drukhari Detachment (as defined in their respective codexes), provided that the Detachment does not include any of the following: Urien Rakarth, Drazhar, Mandrakes, the Avatar of Khaine or any <Haemonculus Coven> units." So, as I read that, your army can include any of those three models in the army is Battle Forged and one of them is the Warlord. 3. A Detachment only becomes Ynnari if it includes one of the three. "If Yvraine, the Visarch or the Yncarne is included in a Detachment, all Aeldari units in that Detachment gain the Ynnari keyword." 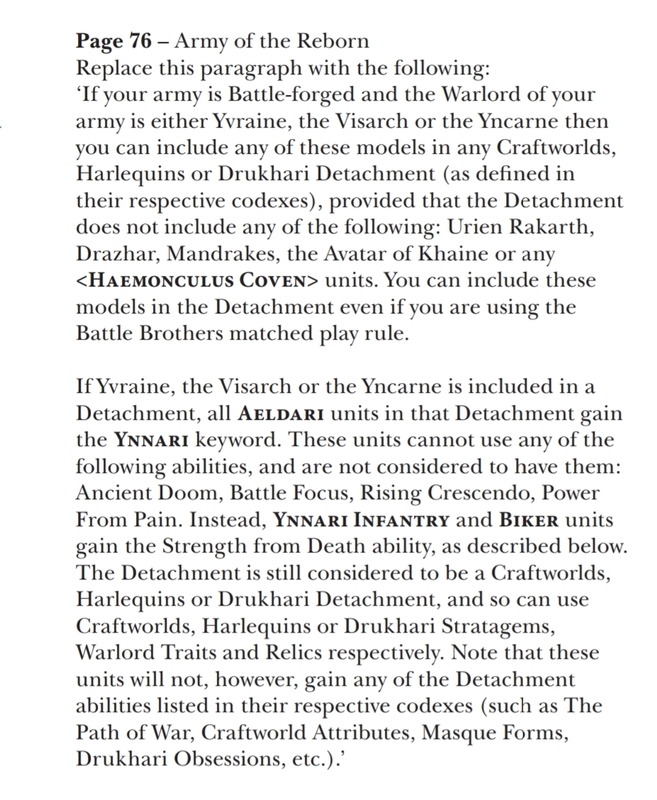 So you can have fro example a Drukhari Detachment alongside an Ynnari one, but the Drukhari Detachment will only gain the Ynnari keyword and Ynnari special abilities if that Detachment includes one of the three characters. Nowhere does it state that if you include it in your army it HAS to be your warlord only that if you include it in a detachment with with either Craftw, Drukh, harlies then it must be. This seems to be the only way to include any of these models in your army and therefore they must be your warlord. Yep. Taking any Triumvirate models requires a Triumvirate warlord. I questioned this before, a detachment is decided by it's contents so adding Craftworld to a detachment makes it Craftworld. Since he's the only dude in the detachment and he doesn't have a craftworld, Drukhari or Harlequin keyword he can't make the Auxiliary Detachment into any of those. The way I read it, if you make him the warlord you CAN include him on a CWE/DE detachment. Since he isn't in any of those detachments but on his own, he doesn't have to be the warlord. But I understand a lot of people think RAI is that they have to be Warlord so I just run it that way to avoid issues. I can see the argument there but it's probably one for a FAQ answer if you want 100% clarity. The whole Ynnari thing is a total mess and GW clearly hasn't got a clue what to do with them. In one of the faqs, it says imperium, chaos, aeldari and ynnari are not valid keywords for building a detachment, which means that you can't take them in say a supreme command with none of them as the warlord (you could if you made one the warlord and added in say a warlock). But as written I don't see anything against one in an auxiliary detachment. No you can not, b.c of Battle brother rules. Battle Brothers prevents the use of Aeldari/Ynnari as the common keyword in a detachment not the army, it does nothing to prevent the Yncarne who has both those tags from being in an auxiliary. What? lol, an Aux is a detachment. Battle Brothers "All units in a detachment in your battle forge army must have at least one faction keyword in common. 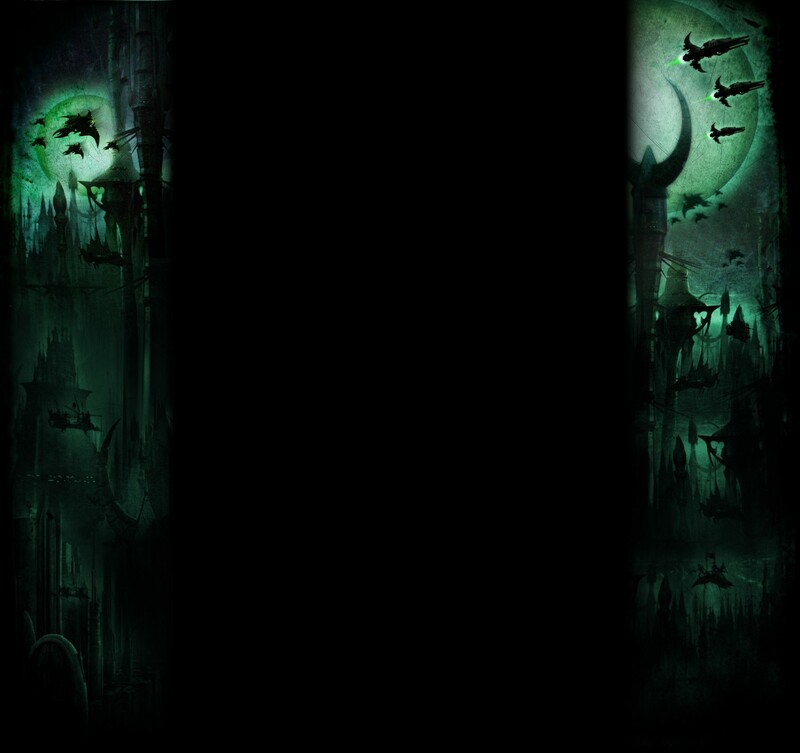 In addition this keyword cannot be, Chaos, Imperial, Aeldari, Ynnari, or Tyranids, unless the detachment is a fortification". So, an Aux is a detachment, Ynnari character in a solo detachment is only 1 faction keyword and that is Ynnari. By that logic they can't be in any detachment as they don't have a shared Keyword other than Aeldari and Ynnari. I'm pretty sure they have a line of rules that alleviates the battle brothers rule for them in a detachment but I'm at work so can't find it right now. You can included these models in the detachment even if you are using the Battle Brothers matched play rule. Okay, let's keep the discussion civil, please. There's no reason for taunts and jibes. What taunts? what are you talking about? I'm guessing he means putting Lol after things can sound quite demeaning, but don't worry I wasn't offended. Upon rereading I would agree that the wording "the detachment" in the final bit means that if it's not a CWE etc detachment the exemption from Battle Brothers doesn't come into play and thus the Yncarne cannot be in an auxiliary and must be your warlord. Of course that makes him pretty useless in a majority DE list as we don't have any prime candidates for Soulburst (Or one that's would prefer it over PfP) but oh well.